Jahi’s family seems to think God will heal her and suddenly she’ll wake up and ask for a burger. 6 doctors total (5 CHO Drs. and Dr. Fisher) examined Jahi. The family contends CHO refused to release Jahi’s medical records. The court ordered the hospital to release them. 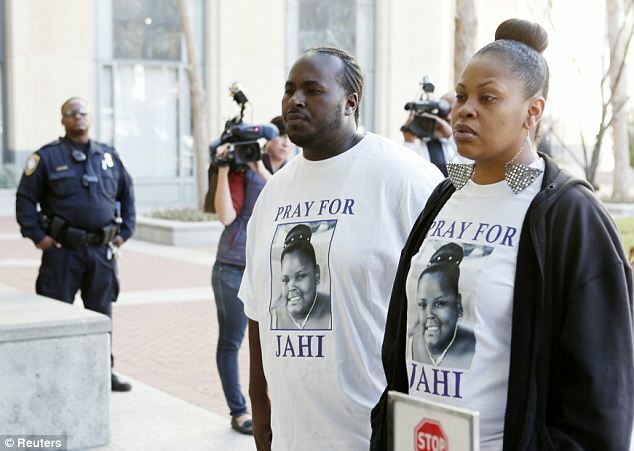 The very recent and emotional case of Jahi McMath has gotten international news. A 13-year-old 8th grader goes into Children’s Hospital in Oakland, California to have surgery on her tonsils and surrounding tissue to help with her sleep apnea. The surgery goes well and she wakes up in the ICU. (I’ll get to that in a few) Suddenly she starts to bleed out of her nose and mouth and passes out before the nurses call the Dr. (According to the family. The hospital can’t comment on that stuff because of Federal HIPAA laws) They do a CT scan and determine she has brain swelling and ultimately her brain is no longer functioning.